The delicious sequel to the bestselling Cloudy with a Chance of Meatballs is brought to life in this interactive book and CD package. 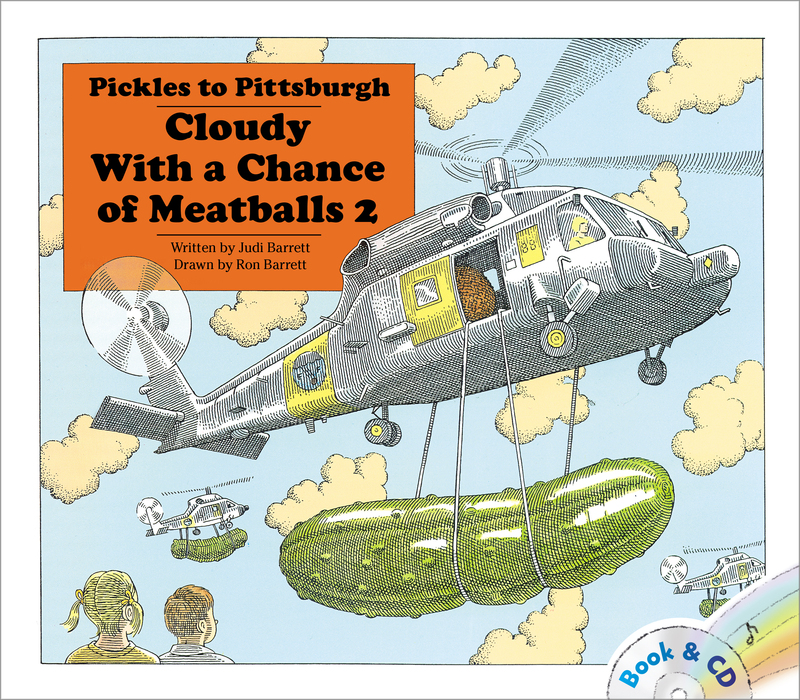 In Pickles to Pittsburgh, the sequel to Cloudy With a Chance of Meatballs, Kate drifts off to sleep and, with her brother Henry as her copilot, visits the land of Chewandswallow—a land characterized by massive amounts of food, immense carrots, leafy jungles of lettuce, and tuna fish sandwiches so gigantic they have to be moved by helicopter. And what the people of Chewandswallow are doing with all that food is most intriguing of all! Fans of Cloudy With a Chance of Meatballs will applaud this return trip with its underlying message of generosity and a world community. This package includes a paperback book along with a CD of the story being read aloud. 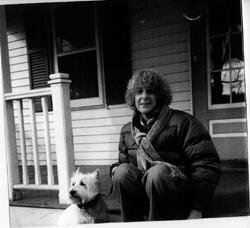 Judi Barrett is the author of many beloved books for children, including the bestselling Cloudy With a Chance of Meatballs, Pickles to Pittsburgh, Animals Should Definitely Not Wear Clothing, Lots More Animals Should Definitely Not Wear Clothing, Santa from Cincinnati, and An Excessive Alphabet. She teaches art to kindergarten students at a school in her Brooklyn neighborhood. Ron Barrett is the internationally bestselling illustrator of many books for children, including Cloudy With a Chance of Meatballs, Pickles to Pittsburgh, Superhero Joe, Animals Should Definitely Not Wear Clothing, Lots More Animals Should Definitely Not Wear Clothing, and An Excessive Alphabet. His illustrations have been honored by the Society of Illustrators and have been exhibited at The Louvre in Paris. He lives in New York City.